Oxeye Game Studio » Blog Archive » Project B’s Music Composer: anosou! Project B’s Music Composer: anosou! We should’ve posted about this earlier, but for the last few weeks Mattias Häggström Gerdt (anosou) has been working on the music for Project B. Mattias has made the soundtracks for games in the past, such as Kaleidoscope, and is an active contributor to OverClocked ReMix. 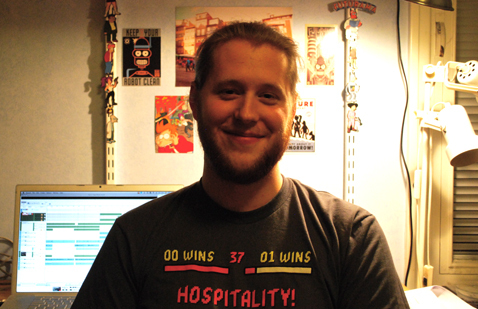 We’ll post a music preview for Project B “soon” In the meantime, please say hi to Mattias in the comments!